A few members gather around the test track. 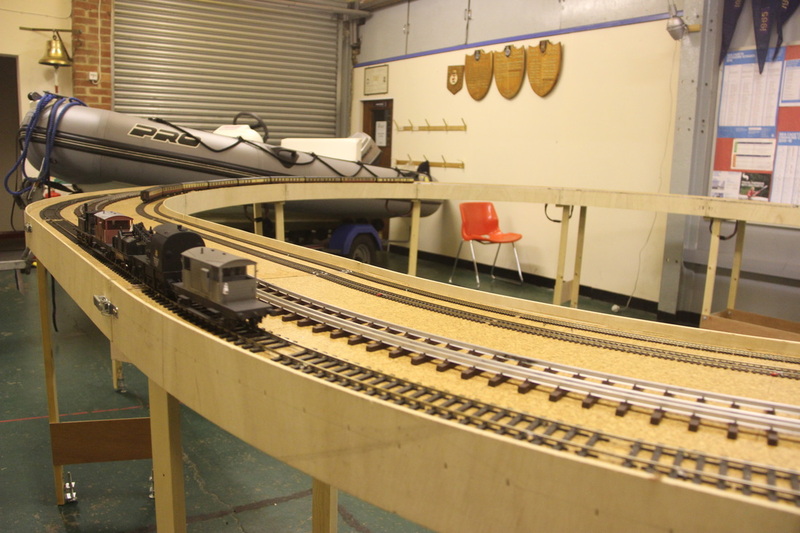 Another full view of our Test Track. 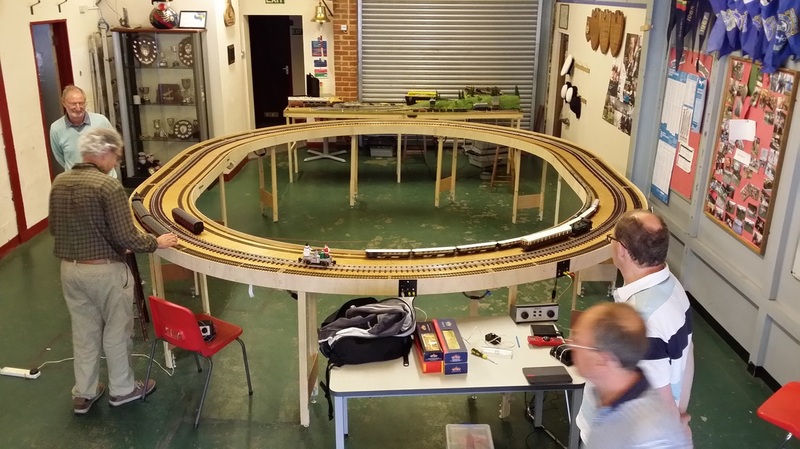 Harry checking out an O gauge train. 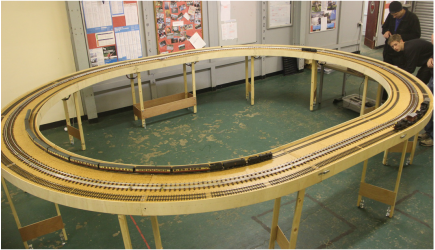 Another view of an O gauge train.